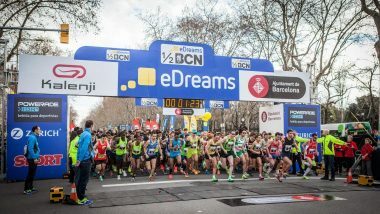 A new edition of the eDreams Barcelona Half Marathon is being held on Sunday, 10 February. The run starts at 8.45 am in Pg. Pujades (between C/ Roger de Flor and C/ Wellington), with competitors covering a distance of 21 km. The event involves disruptions to traffic and public transport. Mobility should be affected until around 12 noon, although roads will progressively be reopened to traffic once runners have been through. 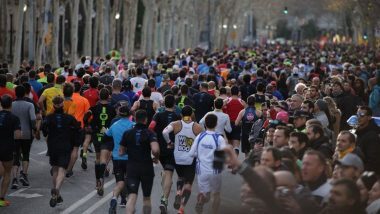 From Passeig de Pujades, runners will head into the centre of the road in Passeig de Picasso, before heading along Avinguda del Marquès de l’Argentera, Pla de Palau, Pg. Isabel II and Pg. Colom as far as Portal de la Pau, then going along Passeig de Josep Carner, at Plaça de les Drassanes. Once there, the route takes participants up Avinguda del Paral·lel as far as Carrer d’Entença and then into the Gran Via de les Corts Catalanes, as far as Carrer de Bailèn, before heading in a seaward direction along Ronda de Sant Pere. 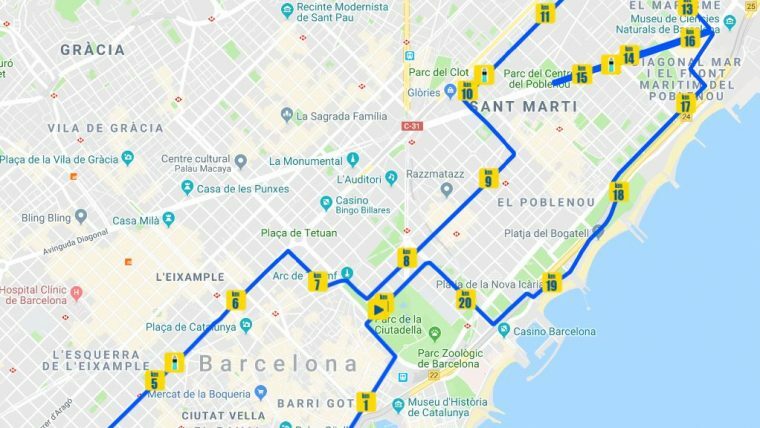 After that it’s into Passeig de Lluís Companys as far as the streets of Buenaventura Muñoz, Pallars, Llacuna, Perú and Josep Pla before rejoining the Gran Via de les Corts Catalanes as far as Rambla de Prim, then moving into Av.Diagonal and heading in the direction of the Llobregat river as far as Carrer d’Espronceda. At this point the runners will change direction and rejoin Av. Diagonal as far as Carrer de la Selva de Mar and Passeig de Garcia Fària. Finally, it’s into Passeig de Calvell and Av. Litoral as far as Carrer de la Marina, before heading back up to Passeig de Pujades and completing the 21 kilometres. Besides road closures around the streets making up the route, nearby streets may also be affected, with directional changes applied. The city police will be tasked with regulating traffic and establishing alternative circuits to ensure mobility. The eDreams Barcelona Half Marathon involves disruptions to services on 37 TMB bus routes. The bus routes affected are: D20, D50, H12, H14, H16, V9, V11, V13, V15, V17, V19, V21,V23, V25, V27, V29, V31, 6, 7, 13, 19, 21, 22, 24, 39, 47, 52, 54, 55, 59, 62, 63, 67, 120, 121, 136, 192 and the two routes covered by the Barcelona Bus Turístic. Tram services will also be affected. The entire T4 Tram line will see service interrupted between 7.45 am and 11.50 am. 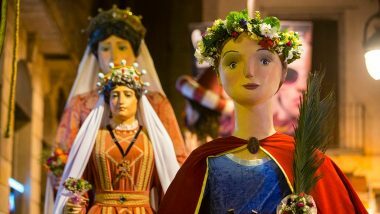 The service between the Estació de Sant Adrià and Glòries stops should resume between 11.50 and 12.20 pm, and as from 12.20 pm the service should also running again between Glòries and Ciutadella – Vila Olímpica, once the organisers declare the run over. Services on the T5 and T6 lines will continue to be interrupted in both directions between the Glòries and Can Jaumandreu stops due to the work on the tunnels under Plaça de les Glòries. 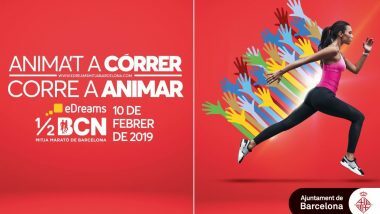 The route covered by the temporary connecting bus service will also be affected by the Half Marathon: between Glòries and Can Jaumandreu the service will use the Gran Via de les Corts Catalanes, while the service between Can Jaumandreu and Glòries will use the streets of Independència, Aragó and Castillejos.